One in seven Aussies who are 40 years or older have a long-term lung problem such as emphysema, bronchitis or asthma. By learning to manage your condition well, you can be more active, breathe better and stay out of hospital. Stopping smoking will help prevent more damage to your lungs—and can improve symptoms such as coughing and phlegm that comes up from your lungs. Quitting can also make it easier to treat asthma. If you smoke, contact quit or talk to your doctor for help to quit. Work together with your doctor to develop an action plan to help prevent flare ups and catch them early when they do happen. Your plan will clearly explain ‘what to do when...’. It should cover treatment, specific instructions for what to do when you experience signs of a flare up, who to contact when problems occur and more. Pushing yourself to exercise a little bit each day can help to improve your breathing and reduce your symptoms. If you’ve given up walking or other types of exercise, ease your way back into it—your doctor can help you make a plan to safely increase how active you are. Breathing techniques can reduce breathlessness and help you relax. Ask your doctor for advice about the best way to learn how to do them. If you are having problems with swallowing, ask your doctor to refer you to a speech pathologist. Constant coughing can weaken your pelvic floor. You may leak a small amount of urine when you exert yourself. Keeping your pelvic floor muscles strong will help this. Visit here to find out how to do pelvic floor muscle training. Anxiety and depression are often experienced by people with long term lung problems. There are a number of effective treatments available to help with the management of anxiety and depression so that it doesn’t interfere with your life. See here for more information on managing your mental health and make sure you discuss treatment options with your doctor to find out what’s best for you. Avoid close contact with people who have colds, flu, sinus infections or sore throats. Get the flu shot each autumn and the pneumococcal vaccine as needed. Get enough sleep and rest, eat a healthy diet, drink plenty of fluids, and do your fitness and breathing exercises. Avoid things that irritate your lungs or make your symptoms worse. See your doctor as soon as you notice signs of a flare up—don’t wait to see if it gets worse. To get the full benefit of an inhaler (aka puffer), you need to use it correctly—but most people don’t. Have a health professional watch your technique and show you how to do it. 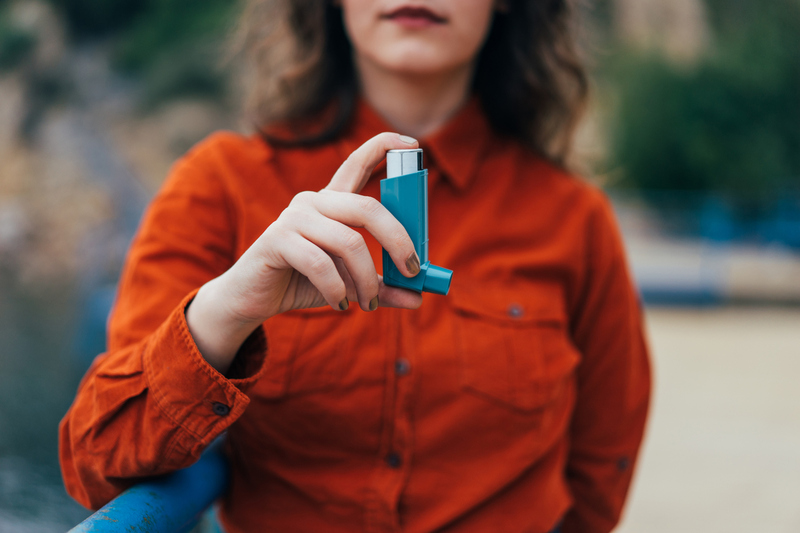 To assist, you can ask for a spacer, which makes your inhaler easier to use and helps to get the medicine into your lungs. Make sure you know how to clean your inhaler and when to replace it. Ask your doctor or pharmacist if you have any questions about other medicines as well, and make sure you understand what they are for and why you are taking them. One of the most important parts of managing your lung condition well is to be able to spot early symptoms before they get worse—and know how to get things back on track or when to get urgent help. Find out more about the symptoms to look out for and what to do if they occur.